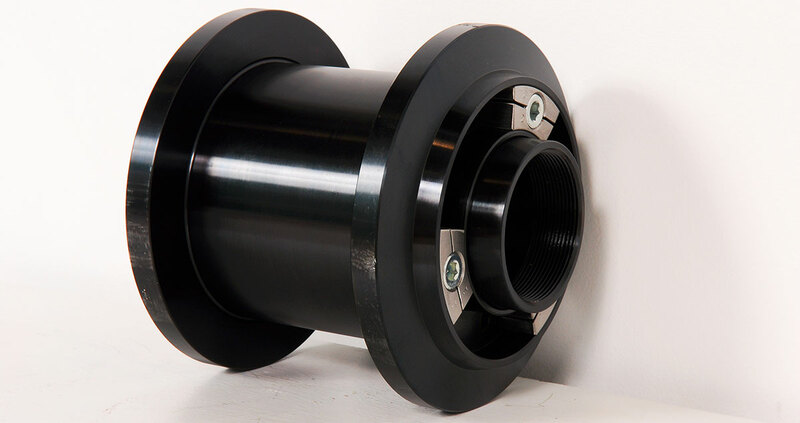 Changing out grinding wheels is time consuming and can lead to production delays, especially if your grinder does not have auto-balancing capabilities. Wheel flanges from DC Products are designed to save you time setting up your grinding wheel while reducing wear on costly diamonds. Custom wheel flanges from DC Products are designed with precision in mind to work with your specific grinding equipment. If your equipment has auto-balancing capabilities, for example, you don’t need to spend extra money on flanges that can hold balancing weights. Our versatile flanges can be used with one or more spacers so you can work with several, lightweight, and less expensive narrow wheels rather than one large, wide wheel. DC Products wheel flanges are designed for quality and durability with advanced computer-controlled systems. 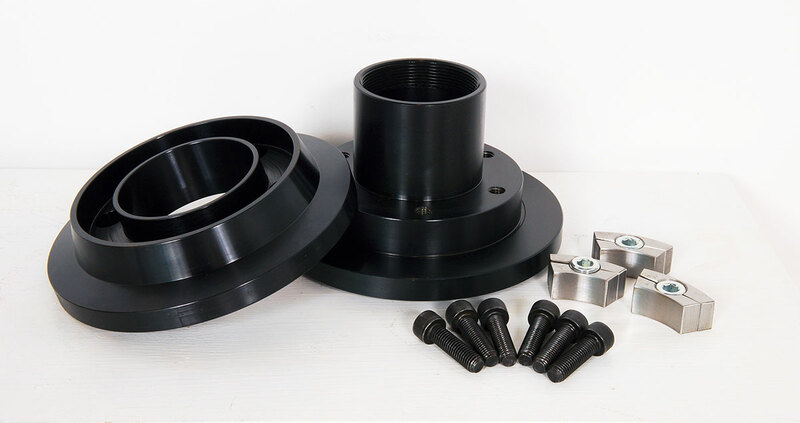 All flanges are coated with black oxide for a uniform finish that will hold up to most machine shop abuse. Wheel flanges are available in all standard sizes with 5- to 10-inch inside diameters, and large sizes may be possible. DC Products can custom design a flange to your specifications.